Cove, J.j.. "William Beynon". The Canadian Encyclopedia, 02 February 2017, Historica Canada. https://www.thecanadianencyclopedia.ca/en/article/william-beynon. Accessed 24 April 2019. William Beynon, Nisga'a hereditary chief, ethnographer (b at Victoria 1888; d 1958). Initially ambiguous about his Indigenous heritage, Beynon became increasingly involved in it through research. 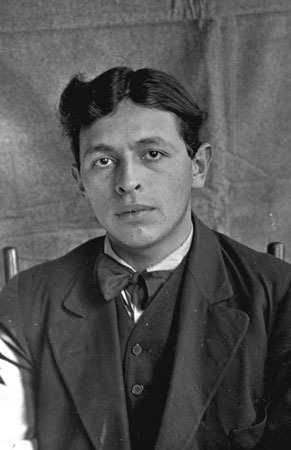 William Beynon, Nisga'a hereditary chief, ethnographer (b at Victoria 1888; d 1958). Initially ambiguous about his Indigenous heritage, Beynon became increasingly involved in it through research. From 1915 until 1956, he worked as an interpreter and field researcher among the Tsimshian, Nisga'a and Gitksan of British Columbia. With Marius Barbeau, he prepared an ethnographic census of those cultures, particularly their social organization and mythology. For brief periods he also assisted Franz Boas and Philip Drucker. Despite a lack of formal training in anthropology, his field notes supply major data for these cultures.